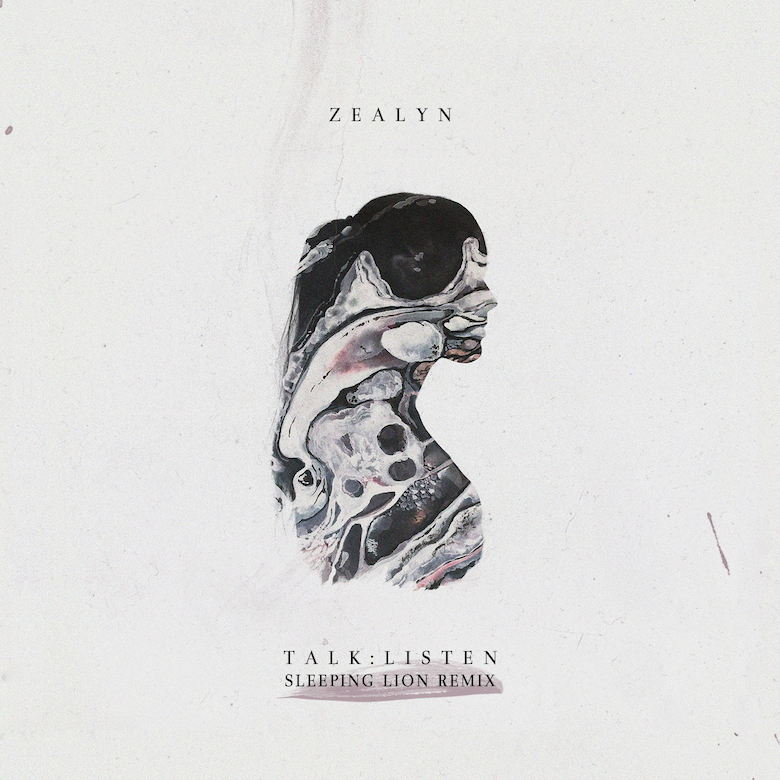 Whilst Zealyn's 'Talk:Listen' is a gentle foray into the constant hum and buzz of electronics, this remix by Boston-based Sleeping Lion turns up the gentleness for a decidedly stark and beautiful reworking of the original. The vocals have been enriched with layers that turn it into an instrument in itself, warm tracts of textured tone issue forth and glow in the empty space with emotive lyrics: "I know you like to talk but never can you find the time to listen." And then there is Sleeping Lion's employment of swaying rhythm and sparse beats, the deliberate avoidance of utilising space and silence for sound but instead leaving it as it is, sending up soft booming kicks and wide all-encompassing synths to make their impact in the electric potential of the quiet either side. There are snippets of the vocal strewn around for ornamentation, gleaming synth melody paints pastel dreamy mists, insectoid percussive blips and clicks skitter around, and the synths arrive robust and pulsing with energy for the finale: these sounds are like a loving touch, a graze of the cheek, brilliant sunlight.